Who'd have guessed that USB cables can sound different? AudioQuest Cinnamon is the USB cable for music lovers. 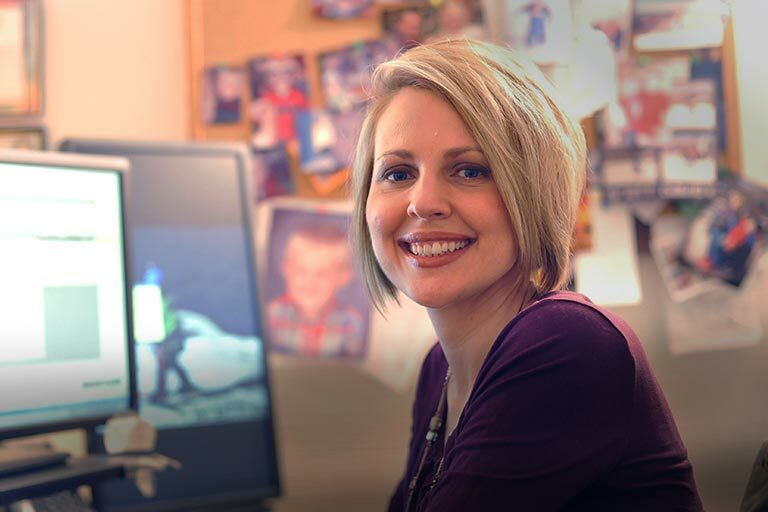 It's carefully engineered, made with top-notch materials, and tested through hours and hours of listening. One way AQ improves the audio performance of its digital cables is by adding a thin layer of silver plating to the solid copper wires. When it comes to conducting signals, silver is the best-performing metal — better than either copper or gold. Cinnamon's silver-plated conductors are designed to reveal more high-frequency detail. Well made cable like all the Audioquest products and fast shipping from Crutchfield. Does this cable have the braided nylon jacket like most AudioQuest cables? 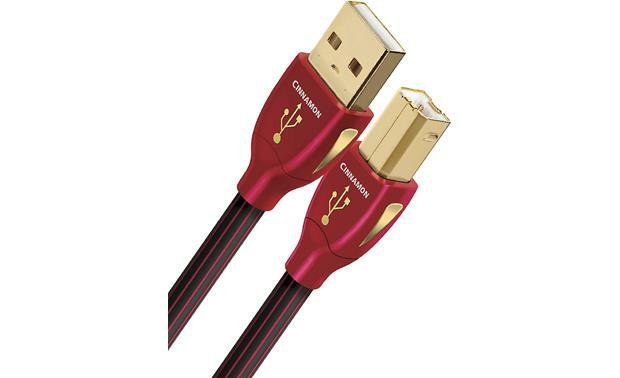 USB Connectors: The Audioquest Cinnamon USB cable features gold-plated USB connectors for maximum signal transfer. The Audioquest Cinnamon USB cable has a USB type-A connector on one end and a USB type-B connector on the other end. 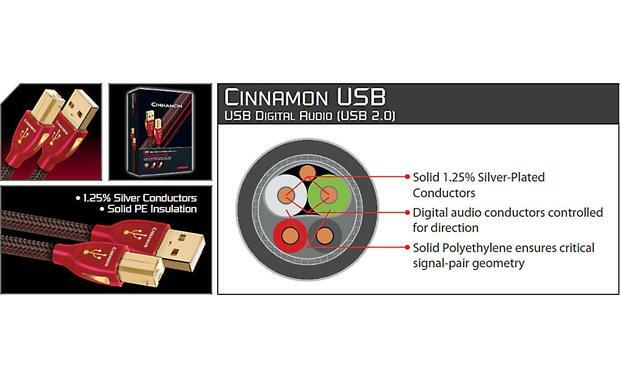 Silver-Plated Conductors: The Audioquest Cinnamon USB cable uses solid 1.25% Silver-Plated conductors to eliminate inter-strand distortion and reduce jitter. Polyethylene Insulation: The USB cable's solid Polyethylene insulation ensures critical signal-pair geometry. Yes it does have the braided jacket. I think you will be happy with it. Yes it is the same type of nylon jacket. Oops, I need to clarify - I didn't notice the 1.5m length was selected. The longer 3m / 10ft has a smooth cover, the shorter cables have a woven cover. No, it is a smooth, not woven cover. The only difference I see between these two cables is one is 1.25% silver plated and the other is 5.0% silver plated. I'm sorry, but I do not hear a difference in the sound. What am I suppose to hear for twice the cost of these two cables? Usually it's the overall improvements throughout your setup added together, that you really start hearing the difference. I can here the difference , but that's not the reason i upgraded to the Big Surs . I have Carver equipment and am Tri - Amping into Monitor Gold GR 60's . With close to a thousand watts going into one speaker DISTORTION really becomes an issue . I can turn my volume up much more and not blow my speakers !!!!!!!! Couldn't do that with my old top of the line Monster Cables . I have not had the opportunity to listen to two different AudioQuest cables. 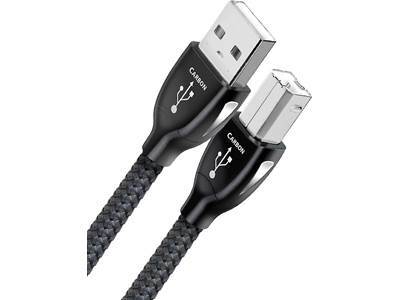 I just know that my Cinnamon USB cable sounds much better than a common USB cable that I briefly used (one that usually connects my computer and printer) while waiting for the AudioQuest to arrive. Searches related to the AudioQuest Cinnamon USB cable (Type A to Type B).